It is bad enough to be a slave in the antebellum south, but Cora is an outcast even among her fellow slaves. When another slave asks her to escape with him, even the knowledge of the horrors that await her if she is caught cannot prevent her from trying. 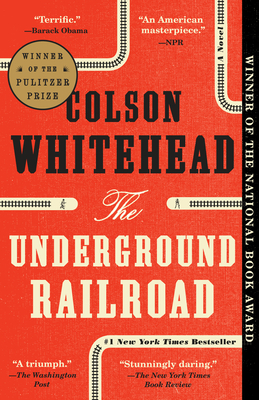 This Underground Railroad, however, is a step into alternate reality, and each state speaks to the brutality of the black experience in America not just during slavery, but through the present. Intense and beautifully written, this book will leave you breathless and wondering where we go from here.